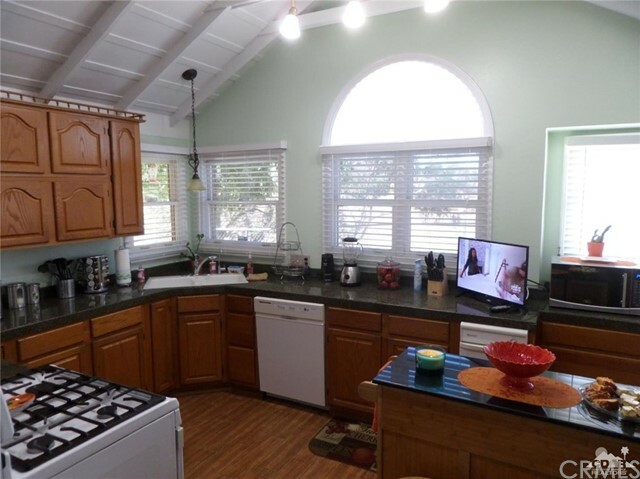 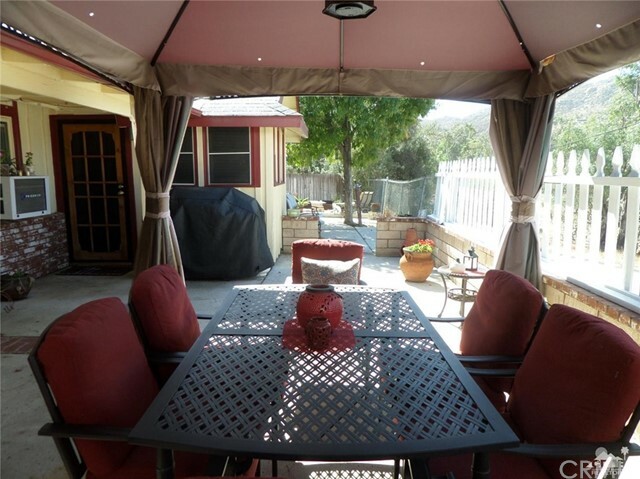 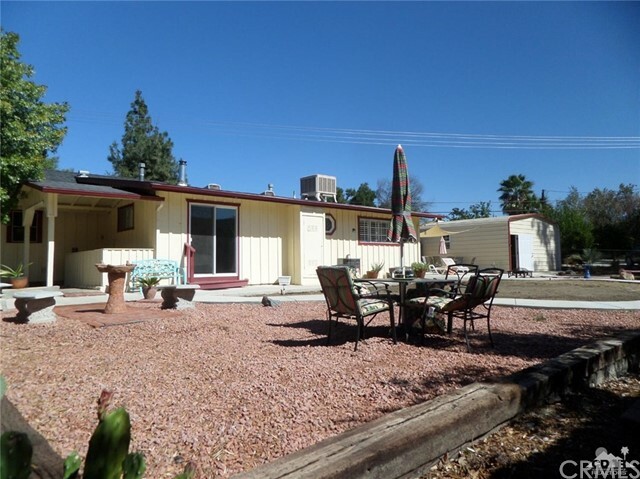 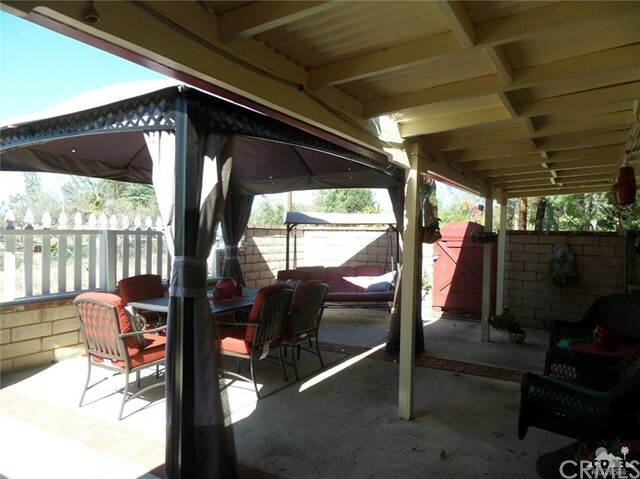 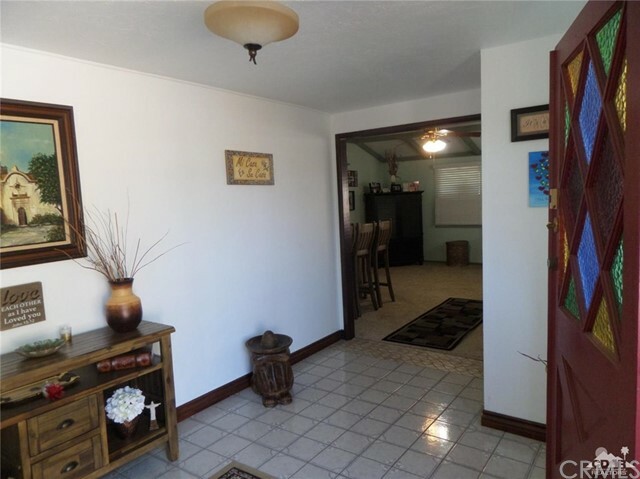 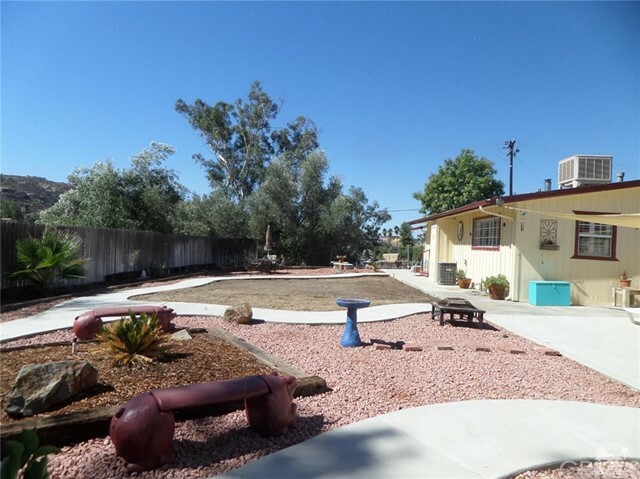 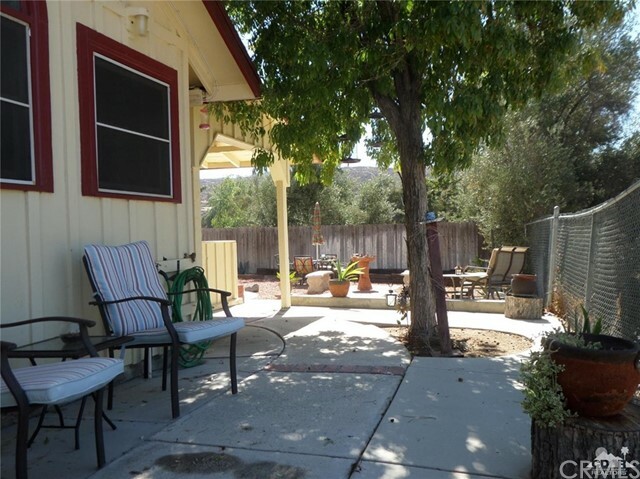 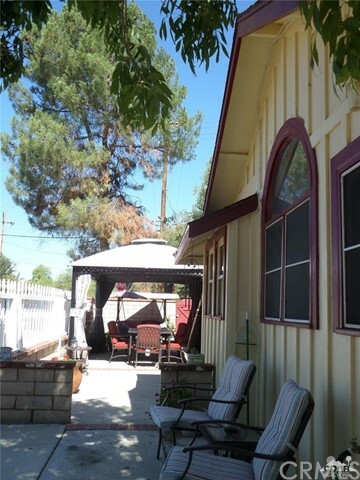 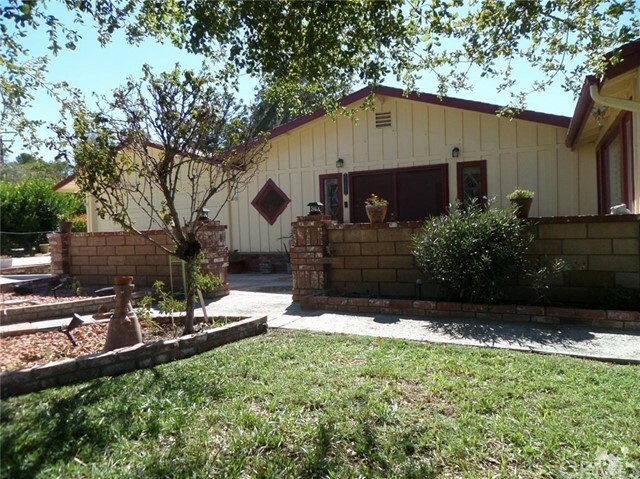 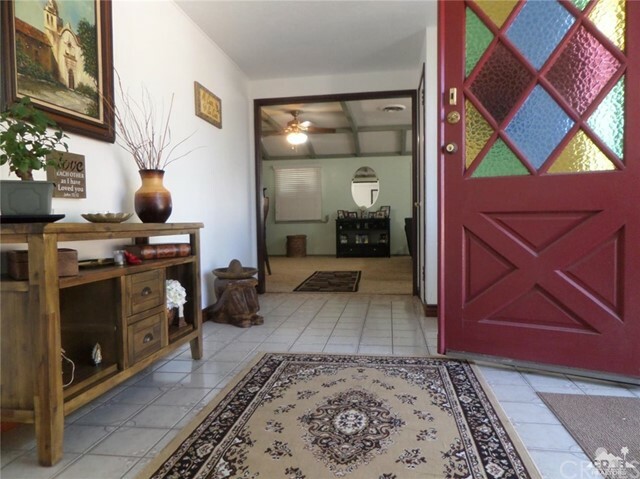 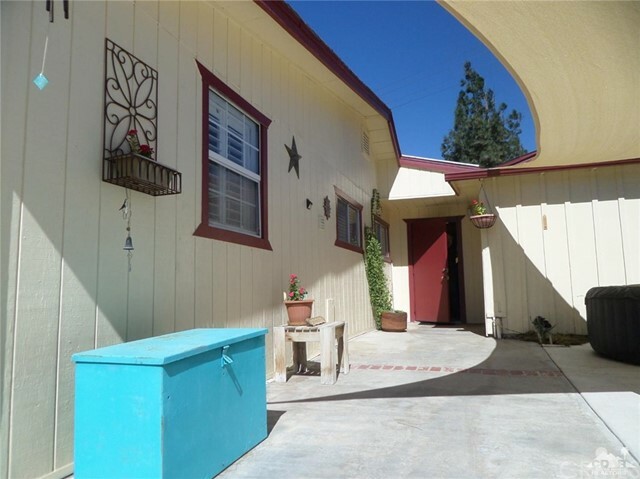 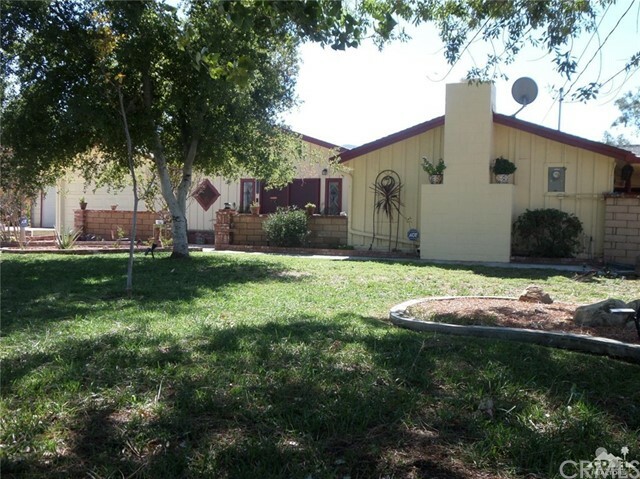 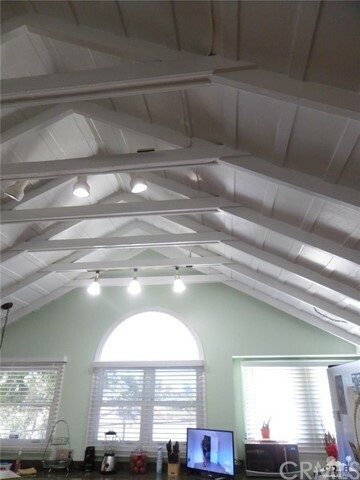 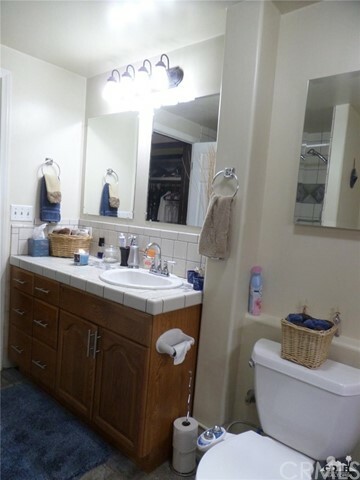 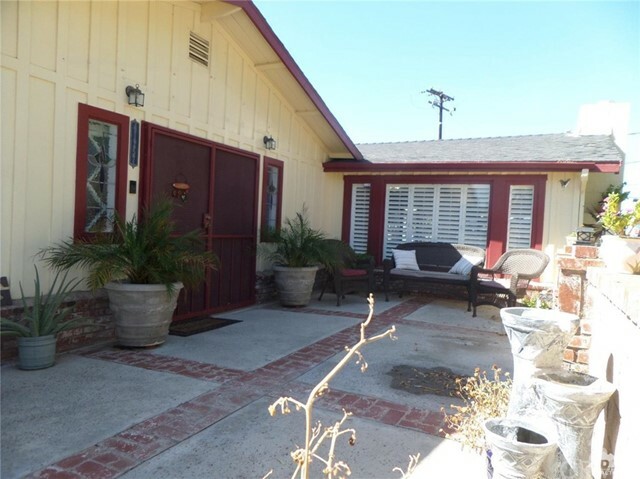 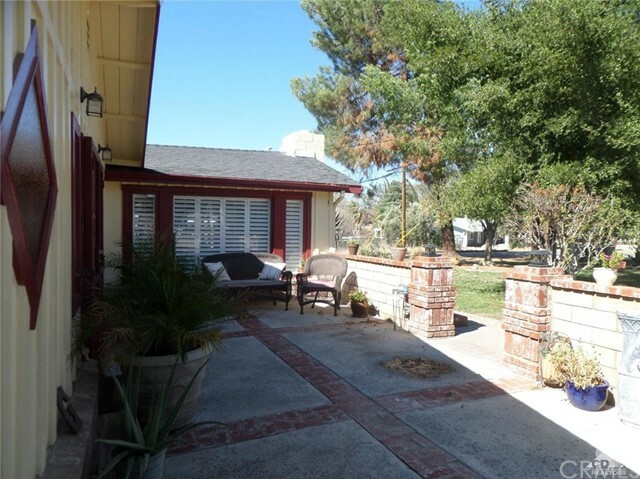 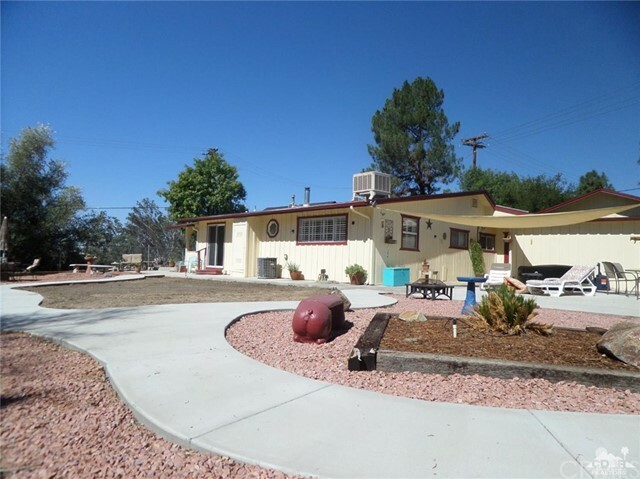 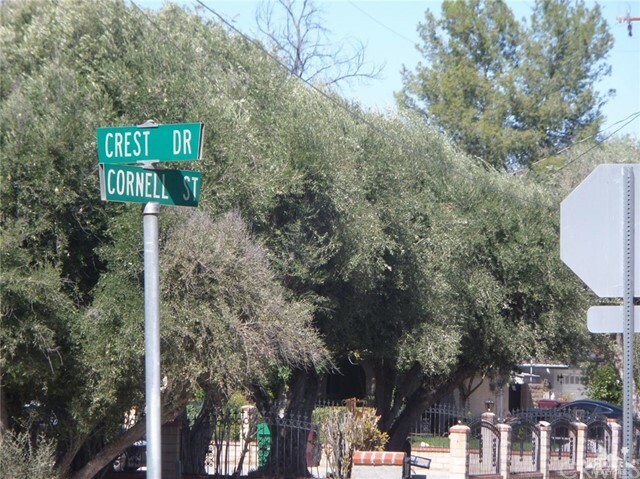 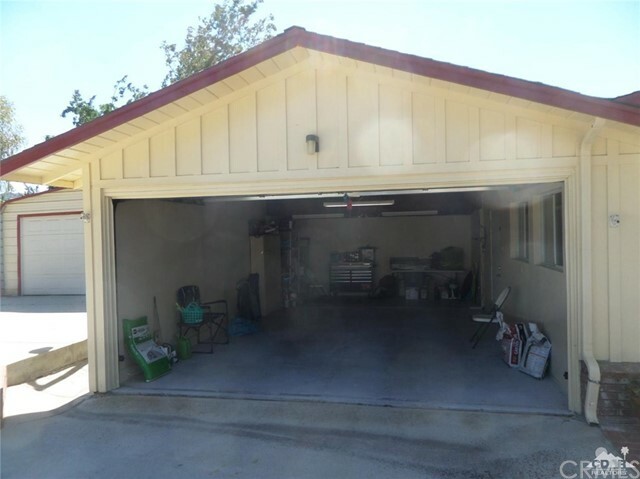 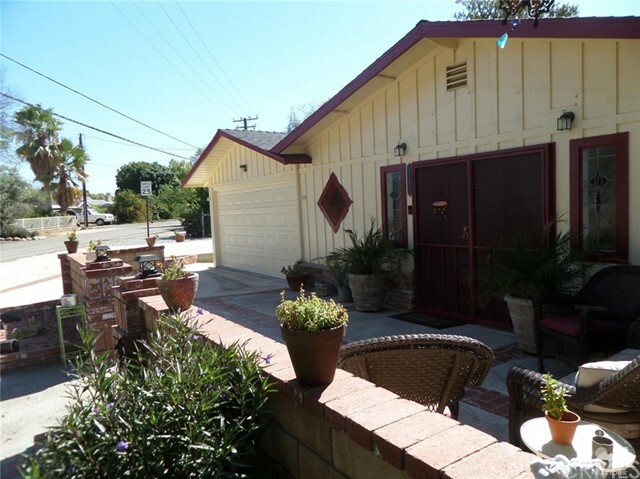 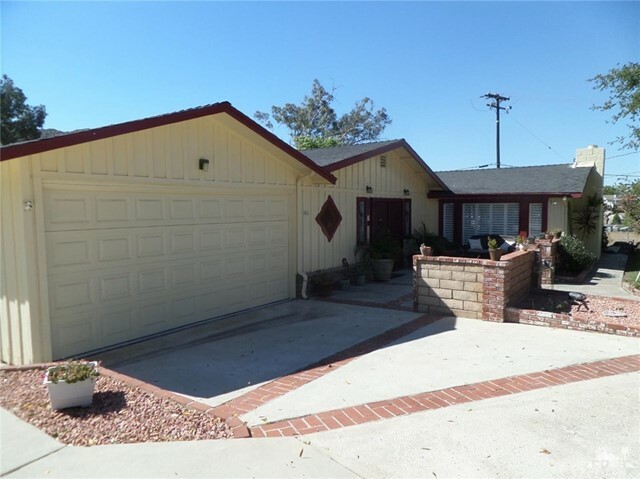 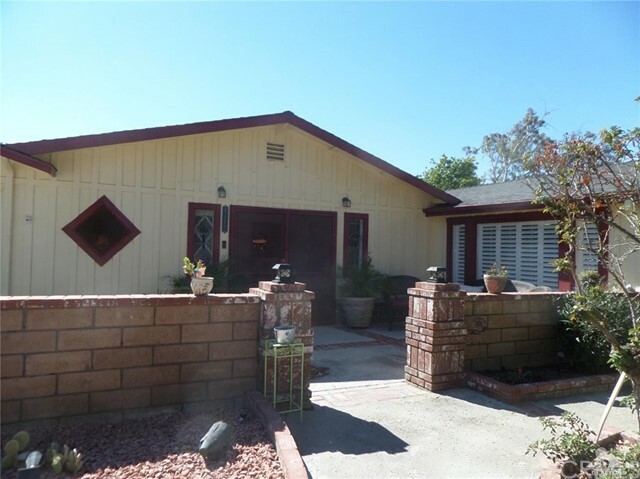 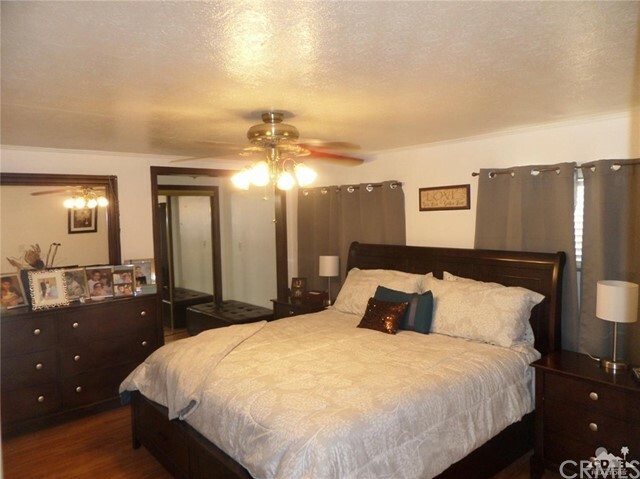 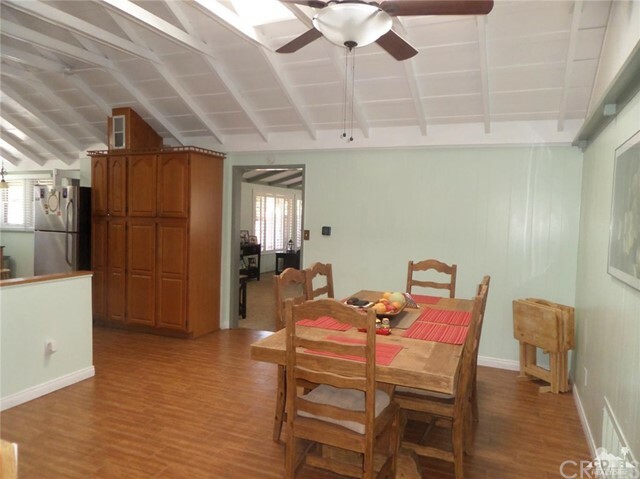 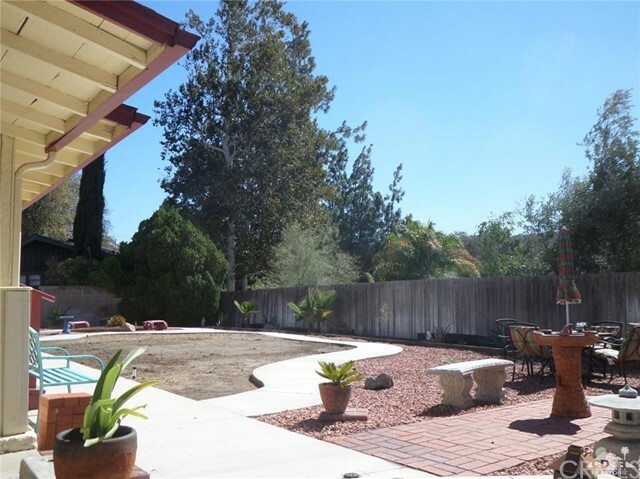 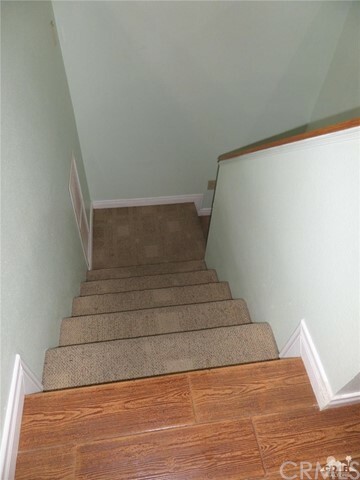 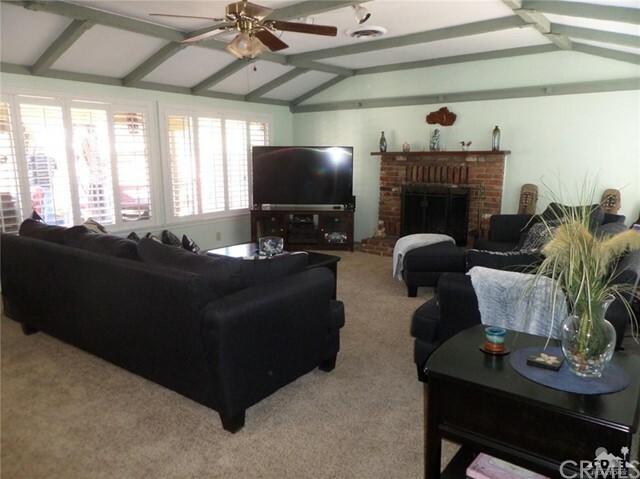 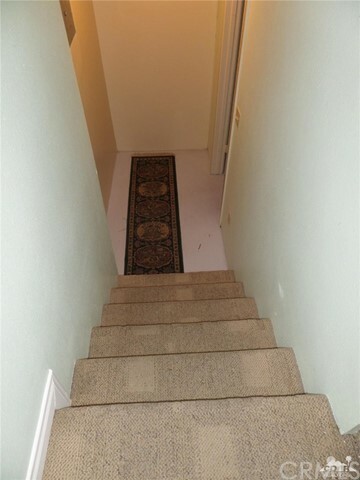 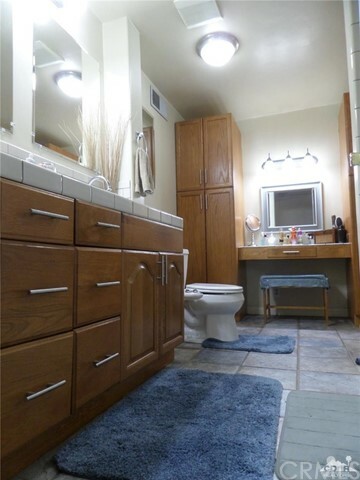 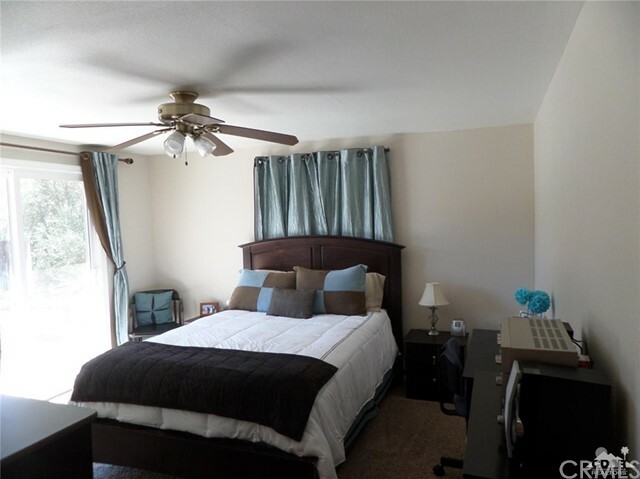 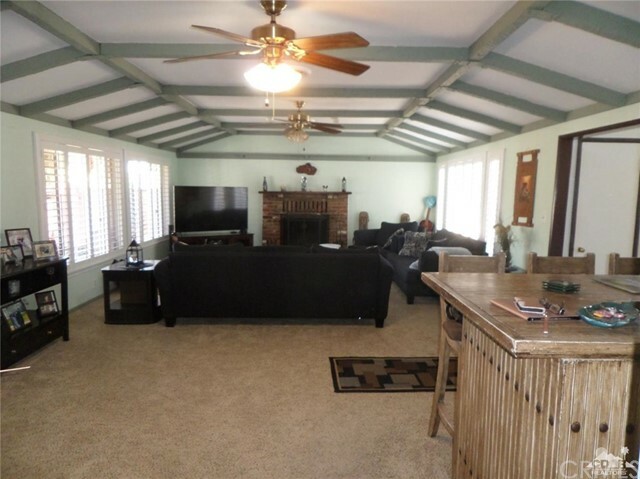 Beautiful and extremely well cared for!Located in a well established and desireable East Hemet area. 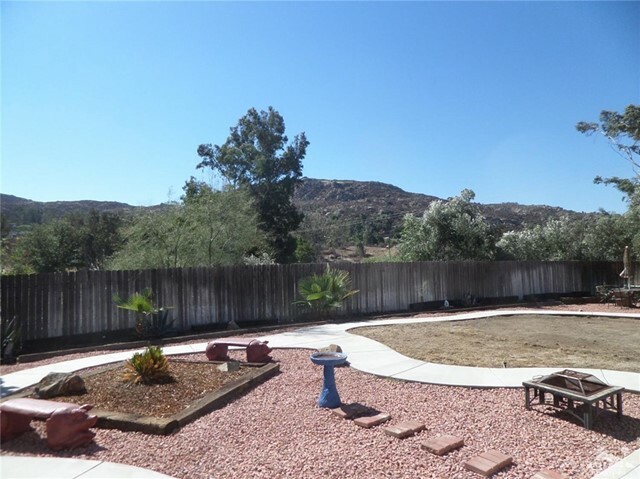 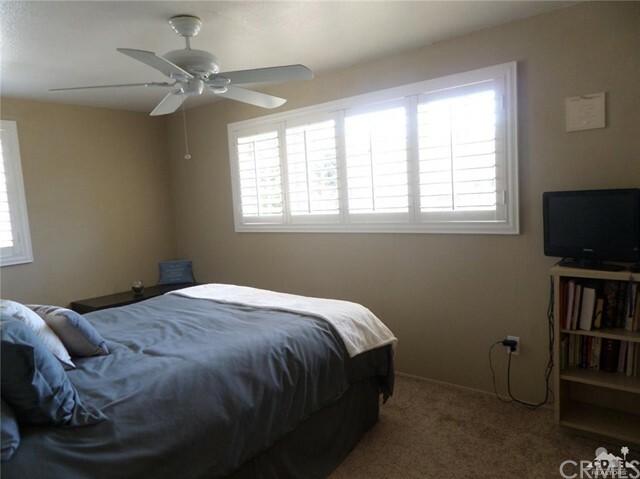 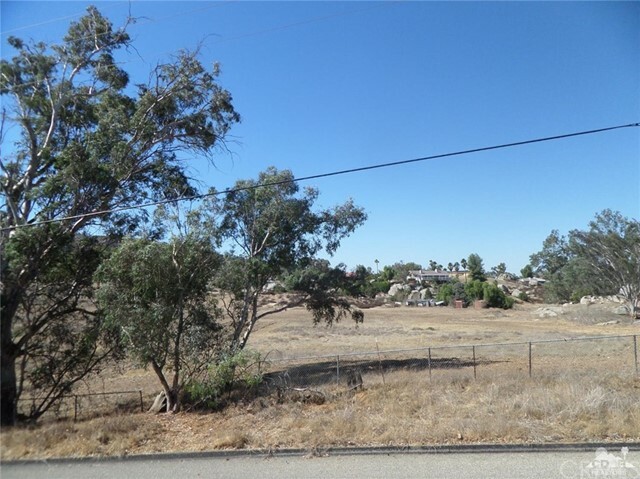 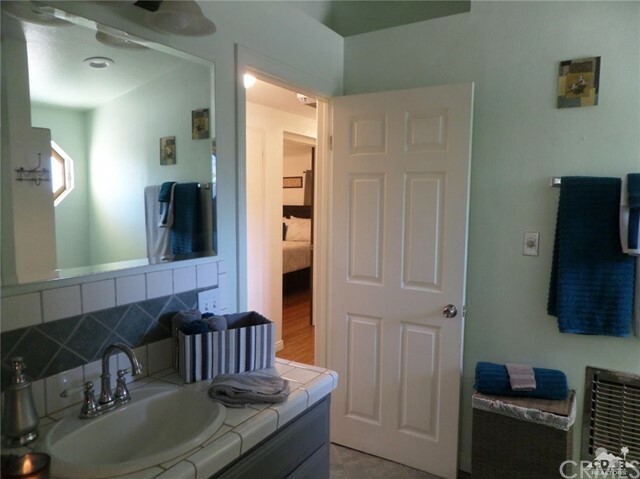 This home has amazing mountain views,is very close to Hemet H.S and the Ramona Bowl Amphitheater, near places of worship, shopping/ dining, schools,Golf course & it has a rural feel as well. 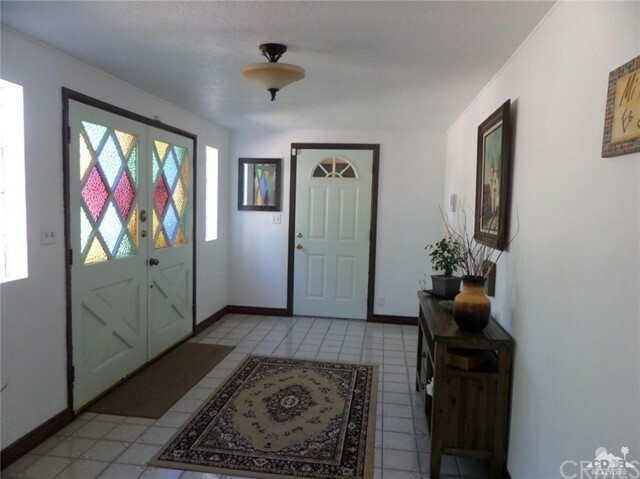 The home features a stained glass double door entry,which welcomes you into the spacious foyer and the many unique features such as high beamed ceilings,a very warm and open living and kitchen area with lots of cabinet space and the best view from the kitchen window,custom wood shutters,ceiling fans,carpet and tile throughout. 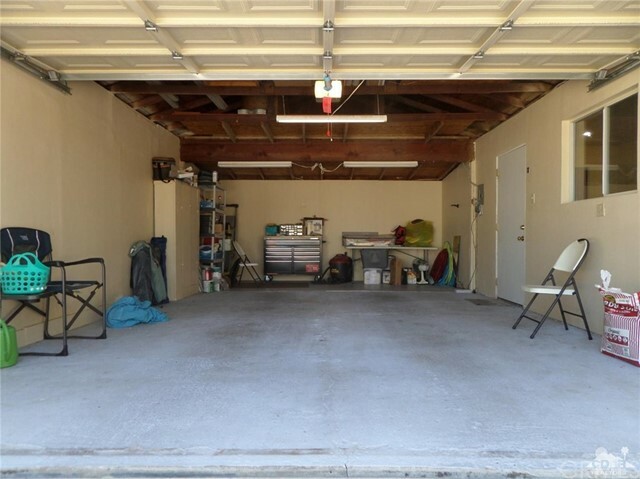 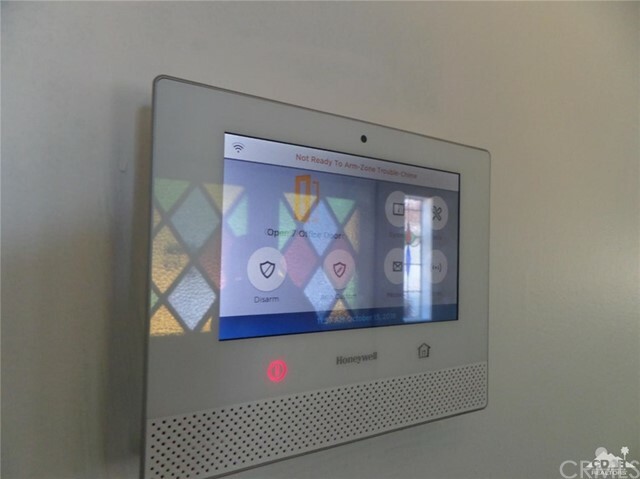 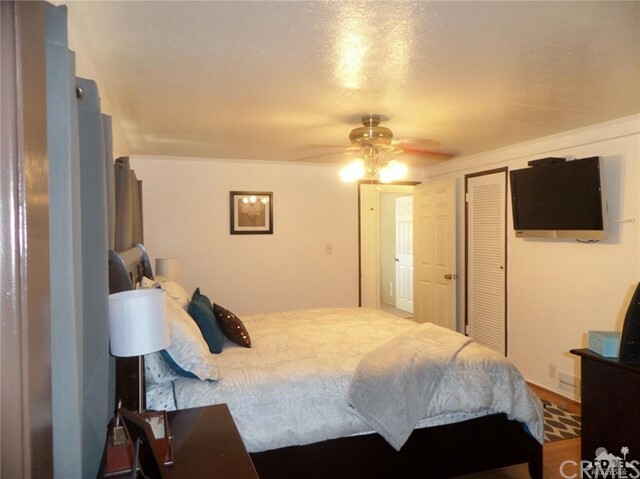 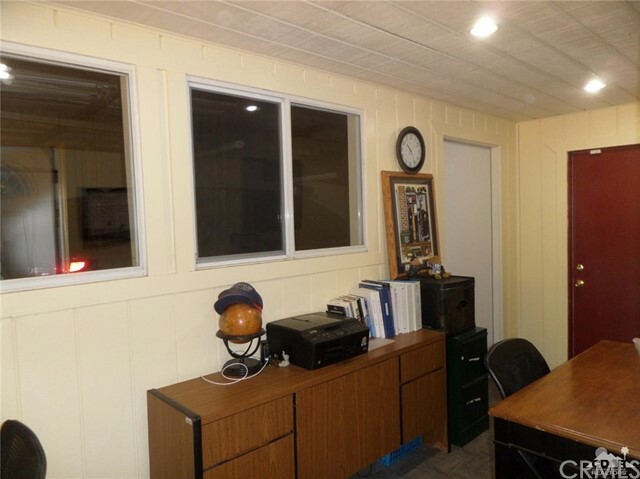 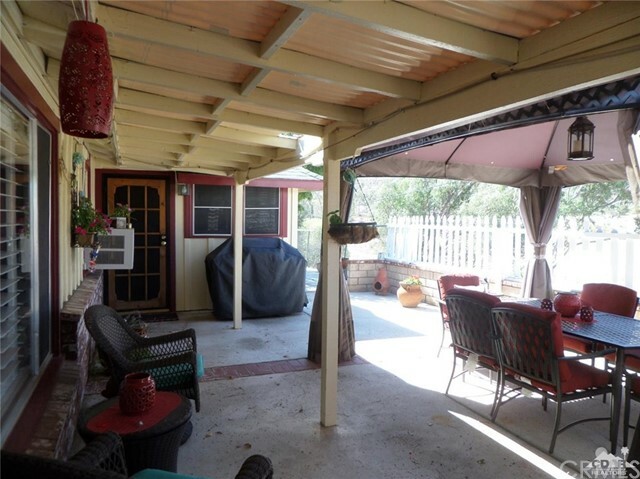 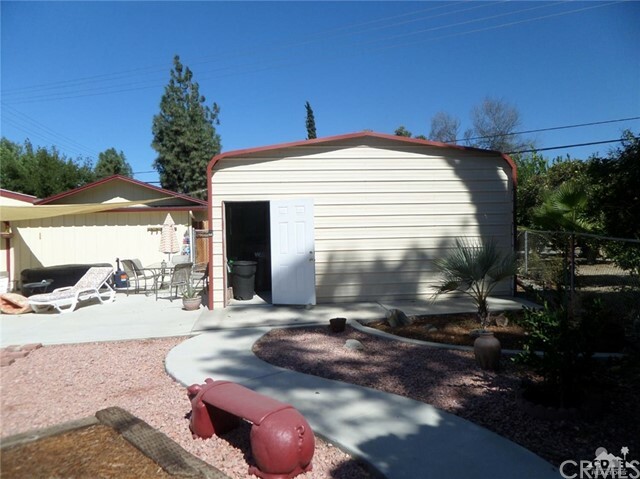 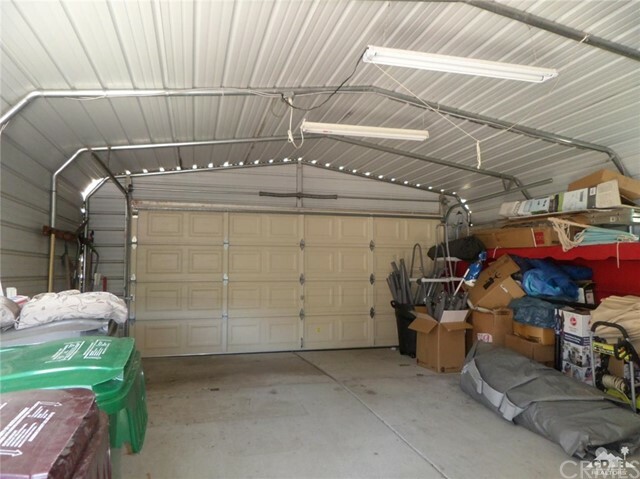 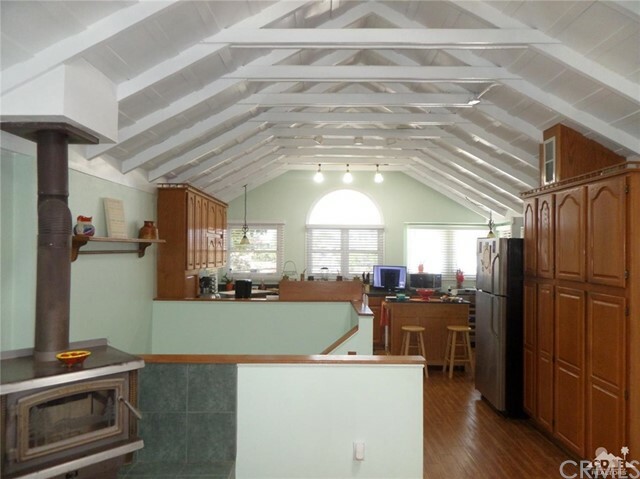 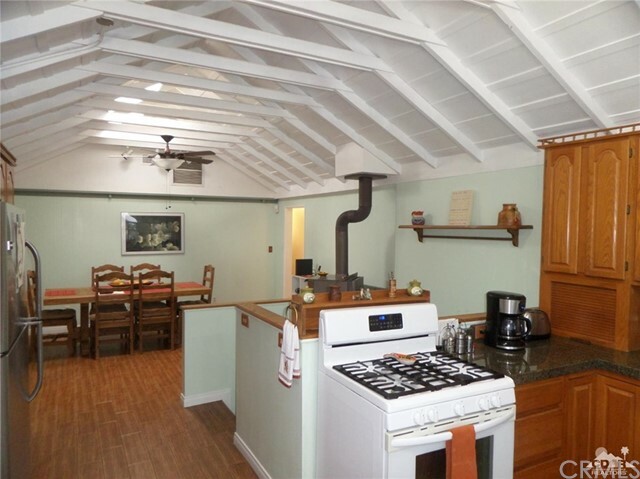 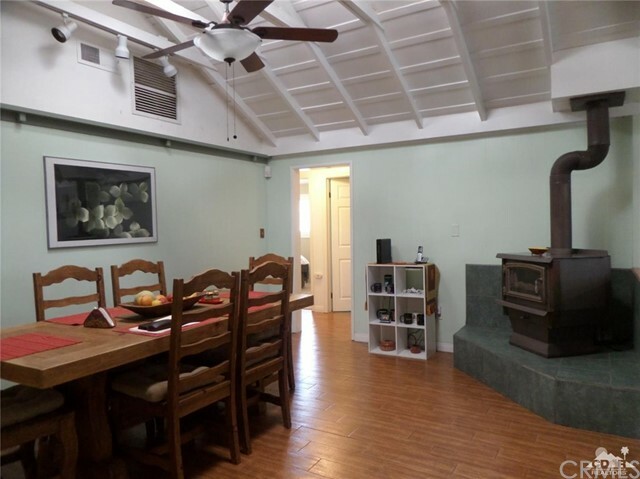 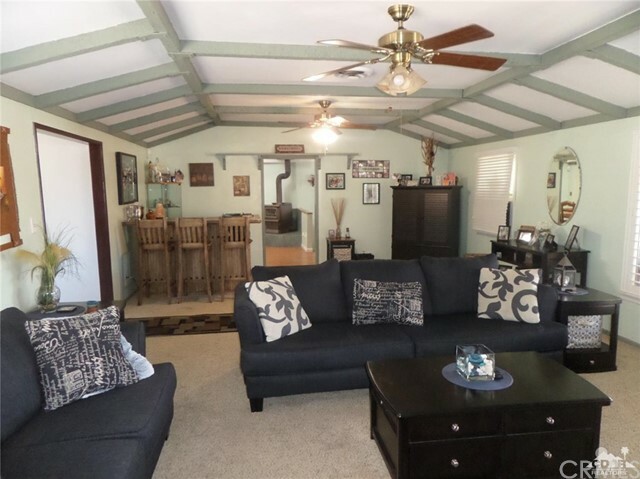 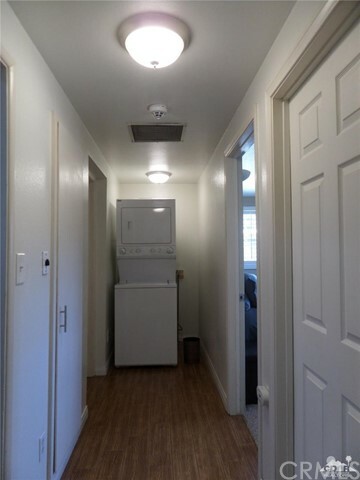 The outside features a beautiful covered/private patio, a huge rear yard, a second detached metal garage which can be a workshop,storage or perhaps remove it and make room for the RV? 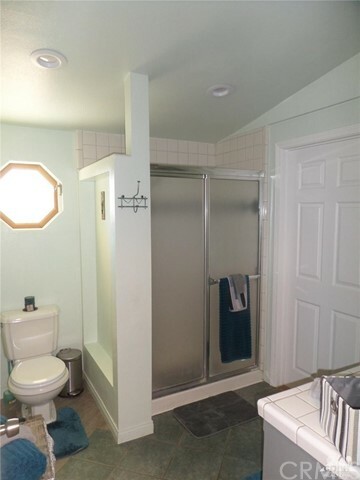 WAIT..There's more!! 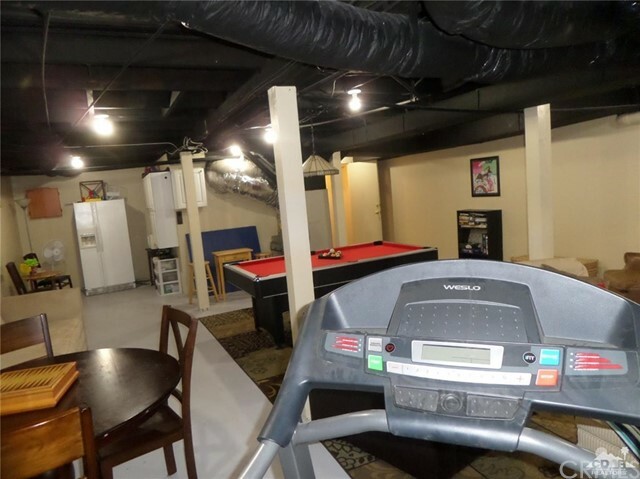 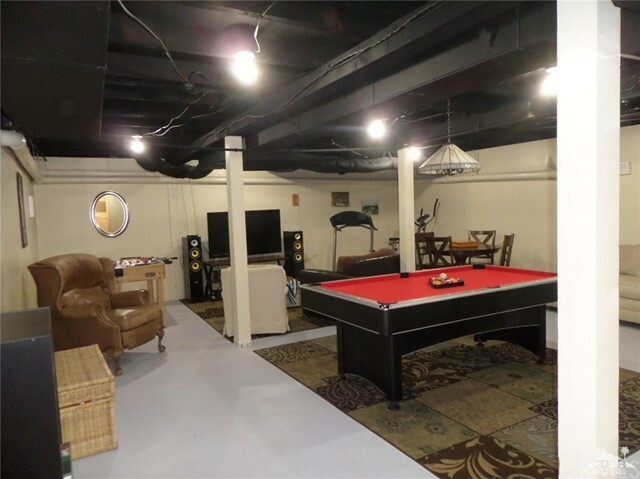 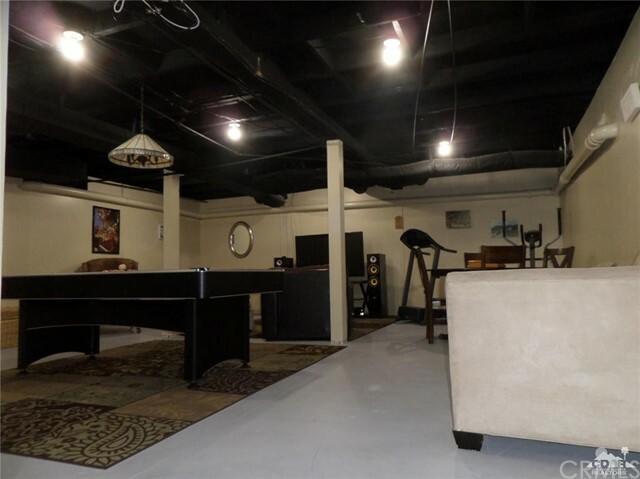 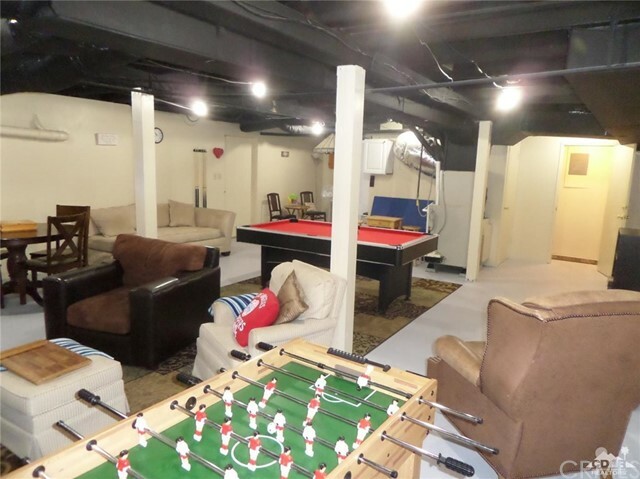 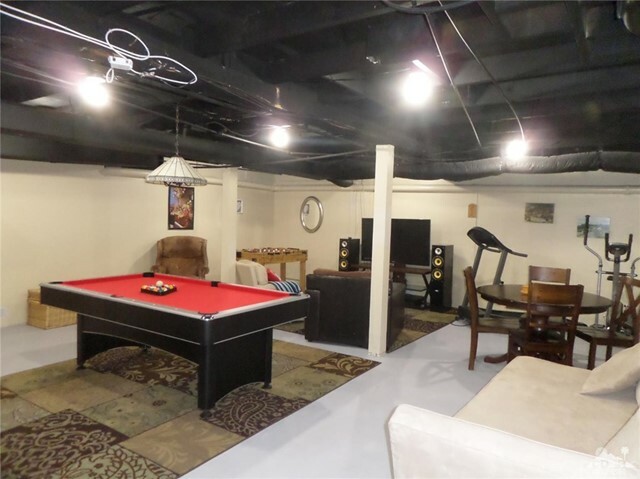 This home has the perfect basement for you to set up a gym, multi recreation/entertainment, more living quarters, or all!.You've got to see it!